The city of Akko (Acre) original site in the Biblical times was several KM east of the old city of Acre. The site, the Tel (mound) of Akko, was one of the important port cities in the ancient world, situated on the northern gate to Israel. The Biblical city of Akko (Acre) is located east to the old city, and located on a large Tel (Mound, Heap) east of the old city, on the north bank of the Na'aman (Belus) river. The city originated in the Bronze period, and was abandoned in the late Hellenistic period, when the new city moved closer to the sea. 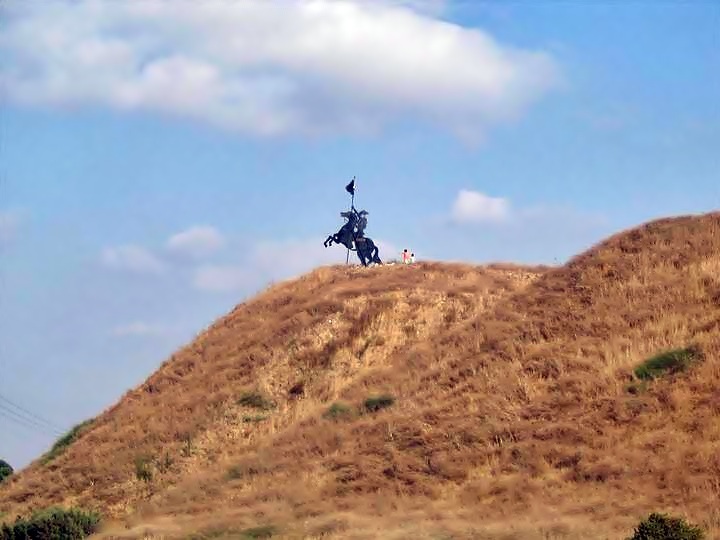 The hill was reused in later periods for brief times, such as being a base for the sieges of the Crusaders (1099) and Napoleon's Army (1799). Today, the site is in ruins. The neighborhoods of the modern city of Akko are located to the east and north of the Tel. On the western foothills is the city's soccer field. Akko (Acre) is located at the North of Israel, on the shores of the bay of Haifa. The Tel is located on the east side of the old city of Acre, as indicated on this map. 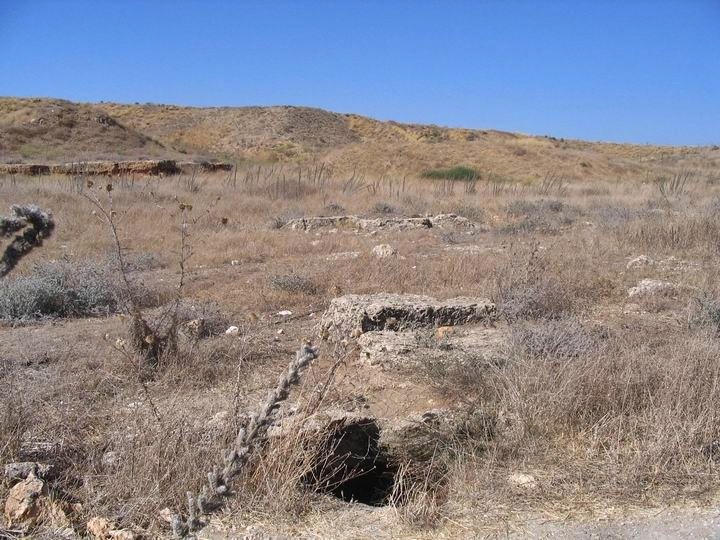 In the Biblical times the Na'aman river, far away to the south, used to be closer to the Tel, but its natural flow was diverted to the south at modern times. 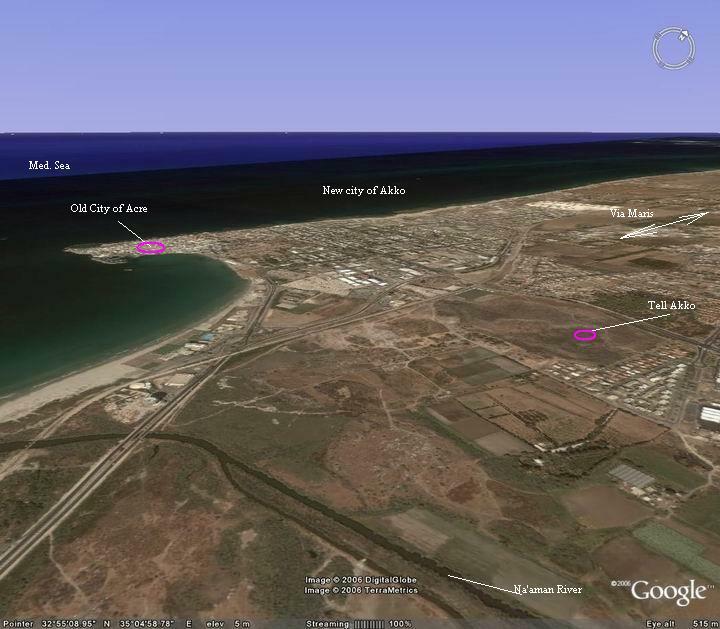 An aerial map of the area of Tel Akko is shown below, indicating the major points of interest. Pointing on purple points will automatically scroll to the relevant photo. Akko started to be inhabited in the early Bronze period (3rd Millennium BC) and reached its peak at the middle of the Bronze age (16-18C BC). It continued to function as one of the major cities in the region until the late Hellenistic period (2nd century BC). 8-6TH century BC Major port for the Phoenicians (from Sidon); city named "Ace"
Tel Akko was located on a prime location - it stood on the northern part of Via Maris, the major ancient North-South road. Another road lead from Akko towards south-east, then east to the sea of Galilee and Syria. The city was a gateway on these important cross roads, which at those times were the important trade routes. The mound is 600m long and 350m wide, covering an area of 200 dunams (20 hectares). It was protected by its great walls and high rampart, and by the marshes of the Na'aman (Belus) river, flowing at the south and east of the Tel. According to the archaeological surveys, evidence indicates that seawater was used to encircle the city from 3 sides (east, south and west). The city was so strong that the Israelites failed to capture it, as written in the Bible (Judges 1): "Asher drove not out the inhabitants of Acco"). The Tel was located at the mouth of the river, which gave it its most important asset: a natural harbor for the port city. The sea-trade in the ancient times made the city prosperous. With these two assets, maritime and land trade, the city rose to be one of the strongest and important cities in the Biblical Israel. A drone captured this photo from the south side of Tel Akko. The modern suburbs of Akko are seen around the mound. The old city of Acre, with the Crusaders and Roman history, are located outside of this field of view on a peninsula west of this mound. This photo shows a section on the south side of the hill, which faces the Na'aman river. The hill side is potted with ancient ceramics, cisterns, traces of walls, archaeological excavations, and a layer of dirt that accumulated over the years. The next photo is another view of the Tel from the south. Most of the area in this southern section was quarried and hallowed out in 1942, since it was used to dry out the marshy lands area south of the Tel. In the Bronze period the whole city had a very high rampart, impressive walls and gates. Some traces of these fortifications can still be seen here today, and especially in the northern and western sections. There are few noticeable remains on top of the mound. In the following photo, which was taken on the north side of the Tel, you can see how high the hill is above the road. The ancient city lies below the Tel, which is composed of many layers of previously destroyed cities, and a set of impressive walls and fortifications from the Canaanite/Bronze period. On top of the hill is a statue of Napoleon, who tried in 1799 to capture the old city of Acre and used the ancient hill as one of the French Army's bases. This short (9 weeks) chapter in history gave its name - Napoleon's hill. A quadcopter photo shows the top of the mound from its north west side. Crisscrossing the site are walking trails. In the far right background is the bay of Akko. An aerial view video of Tel Akko can be seen in the following Youtube video. This text, describing the land of the tribe of Asher, lists the cities in the Tribe's area. The city Ummah may refer actually to Acco, according to some scholars, since it is listed after Achzib and before Afek, a sequence that may imply the city of Acco. Ummah may be the Jewish name of the Canaanite city. This is the only reference of Acco (Akko, Acre) in the Old Testament. In the story of the conquest of the Land by the Israelites, the Bible writes about cities, including Acco, that the the tribe of Asher did not succeed to drive out the Canaanites, due to its strong fortifications. It remained linked to the cities of Sidon (Zidon) and Tyre (actually, for 3000 years). "Asher drove not out the inhabitants of Acco, nor the inhabitants of Zidon, nor of Ahlab, nor of Achzib, nor of Helbah, nor of Aphik, nor of Rehob;"
Tel (Tell) - mound (See more on the story of a Tel). Digs in Tel Akko (1977, 1999) - in pages 8-9 there are summaries of a workshop on excavations of Tel Akko.